The end of financial year is the most stressful time for people in many different lines of work. You’re either rushing to get work done, trying to spend budget just in time, or gearing up for the onslaught of tax time and annual reports. So when you finally get everything done, you might treat yourself to a little break. For some, that means checking out the stocktake sales. For others, it might mean jetting overseas for a bit; departures tend to spike midyear as Aussies head off for a break. 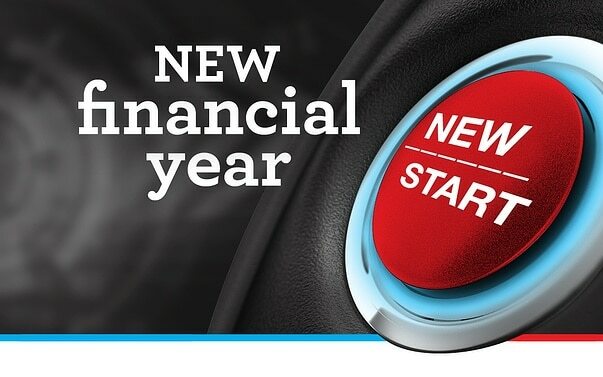 There’s another thing that this time of year is ideal for – financial fresh starts. Yes, just like you made New Year’s resolutions on 1 Jan (which you’ve kept, right?! ), you can make a promise to yourself to make smarter money decisions over the coming year. Here are a few ways to set yourself up with great new habits. This is your chance to do an ‘autopsy’ of your spending for the past 12 months so put on your forensic accounting hat, cue the CSI theme song, and get to analysing. Look at your bank statement and try to group your expenses in to roughly five basic categories: rent/mortgage, insurance/bills, transport, food/groceries, and entertainment/fun. If your statement is a mile long, or if you’re pressed for time, choose one ‘normal’ month (without a big event or special occasion) and average it out from there. You could also try an app like Pocketbook, which automatically categorises spending for you. We’ve all got financial goals we’d like to achieve. But did you know that one of the top reasons people fall short of their goals is that they’re aiming too high? This doesn’t mean you can’t have big ambitions. You just need to be realistic about time frames and methods. Sensible planning is the key. And remember, we’re here to help you work towards those bigger goals. Once you’ve done step one you’ll be in a good position to re-do your budget. First, scan your results and look for any obvious candidates for the cutting table. Then take each spending category one by one, and look at how you can cut back. You could also take a few minutes this new financial year to review the deals you’re getting for things like utility bills. Don’t be embarrassed to save any way you can – being frugal is almost trendy now. From home brewing to learning once-common skills like clothing repairs, everybody’s doing it. With tax time still fresh in your memory, get your financial admin in order. Look for any lost super (if you haven’t already) by logging in to myGov and connecting with the ATO. It’s a good idea to start a filing system for your receipts this time of year (no, shoeboxes don’t count). If you’re looking for a tech-savvy way to store and organise your receipts, now is the time to download a receipt keeping app like the ATO’s myDeductions. Did categorising your spending or looking for lost super get you all riled up about how much money you’re ‘wasting’? Then just think about all the interest you’re missing out on by not saving money ASAP. By paying yourself first – as soon as you get paid – you’re prioritising your savings. Because let’s face it, there’s rarely much money that’s naturally ‘left over’ to put in to savings at the end of the month. Try setting up a direct debit/automatic transfer in to your savings account, even if it’s only a modest amount to start with. By starting the new financial year afresh with these small but powerful changes, you’ll hopefully be a lot happier, confident (and less stressed!) when the EOFY rolls ‘round again. And as always, if you’ve got any questions about these tips, don’t hesitate to get in touch.